All meetings of the Full Town Council are open to the Press and Public and these guidelines are for those attending and speaking at meetings. The Town Council meeting has a section called ‘Public Participation – Have Your Say’, where you can get involved and speak, tell the meeting something or ask questions. It is usually Item 3 on the agenda. Don’t interrupt speakers or speak during the Councillors’ debate. Don’t hold conversations with other members of the public during meetings. Please let the Chair know before the meeting starts that you want to speak – you can phone or email in advance or tell the Chair at the meeting. Tell the Chair what topic(s) you want to cover. You are not restricted only to topics that are on the agenda. If you don’t get a chance to do this, the Chair will ask if anyone else wants to speak. The Chair will invite you to stand or sit at the table and will ask you to use the microphone. Please give your name which will be recorded in the minutes unless you say otherwise. There is a time limit of 3 minutes per person to speak. You can speak on more than one topic during this time. 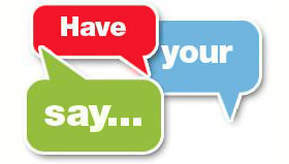 If there are similar questions or statements about one topic then the Chair may ask one person to speak on behalf of the others. Councillors may ask you questions for clarification. The Council may respond to you at the meeting or may write to you. You can contact the Council Office or the Councillors directly. The Councillors also hold Council Surgeries and Outreach Sessions. You do not need to make an appointment. These sessions are advertised on the Victoria Hall notice board, at the Library, in Grange Now, on the Town Council website and at Kents Bank bus shelter. The public may record, film, and broadcast publicly accessible meetings of Grange Town Council and its committees, and may use digital and social media recording tools (for example: Twitter, blogging); but the following conditions apply. The activity must not disrupt the meeting. The rights (for instance, under the Data Protection Act 1998) of those being filmed, recorded or broadcast must be respected. Any claims or other liabilities arising from the filming, recording, or broadcasting lies with those carrying it out – not with the Town Council. Any editing must not lead to possible misinterpretation of the proceedings, or infringe the core values of the Council (such as editing in such a way that may ridicule, or show lack of respect to those being filmed or recorded). The Town Council may photograph, film, record, or broadcast meetings, and may use or dispose of material following its own procedures. These guidelines apply to everyone, whether or not they have not read them. No-one may film or record meetings or parts of meetings from which the press and public are excluded. The Chair can stop the meeting and take appropriate action if these guidelines are not followed.